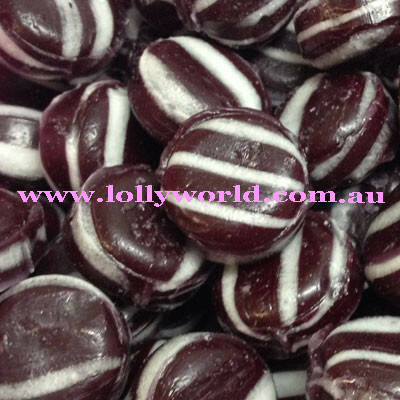 Humbugs Boiled Lollies with black and white stripes tasting like mint available in 250g and 1kg bag sizes. Great at Christmas in little jars as gifts. Add to your black and white themed party.